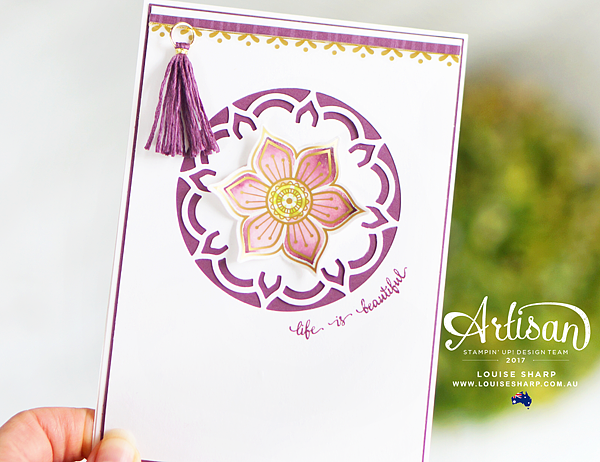 I am so excited about this hop because the Artisan Design Team are sharing sneak peek projects showcasing a new product release called the Eastern Palace Suite. Both Customers and Demonstrators will have the opportunity order Premier and Starter Bundles early. Yay! Customers: On 1st-31st May there will be Starter and Premier Bundles, designed for both the beginning and avid crafters. Or join as a demonstrator and have the opportunity to order this suite even earlier! Stampin' Up! Demonstrators: Preorder the Eastern Palace Suite Starter and Premier Bundles between 4th-30th April. Get your hands on these colorful and exotic products to prepare for customer launch on the 1st May! Here's a sneak peek of my projects using some of the products from the new Eastern Palace Suite. The Eastern Palace Suite is not only elegant, but beautiful and fun also! 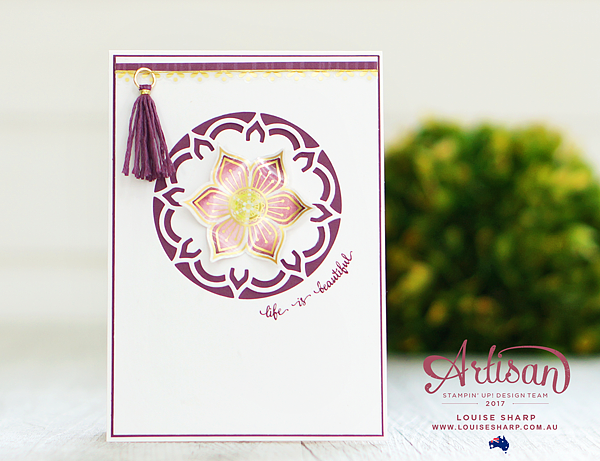 The gorgeous Gold Vinyl Stickers and the Mini Tassles Assortment pack will add style to any project. And once you get playing with the Eastern Medallions Thinlits Dies you won't be able to put them away! 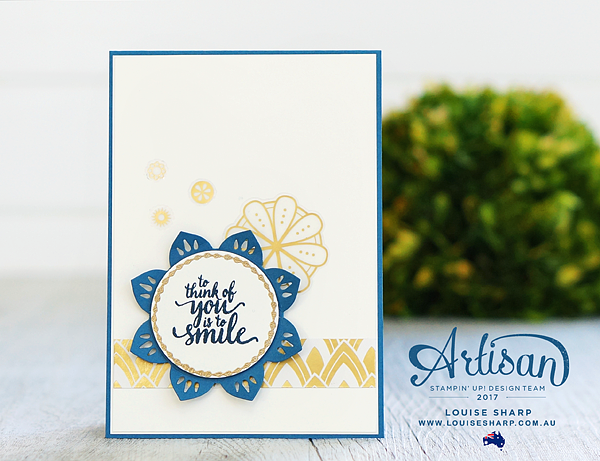 GORGEOUS projects, Louise! 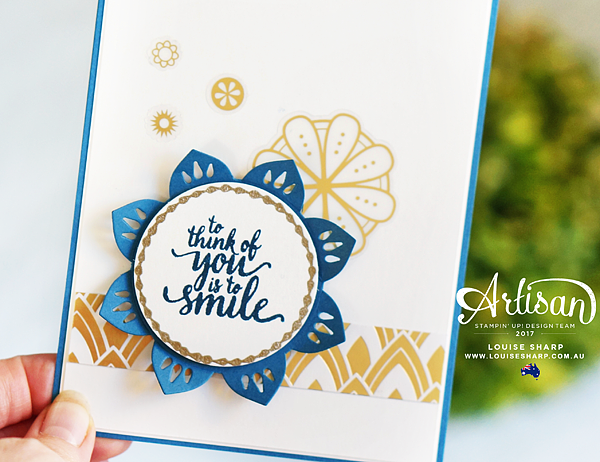 Your cards are always so appealing - your style is amazing. Love your clean and simply take! These projects are just gorgeous! Thanks so much for your speedy work. The texture and dimension on these is just gorgeous. I want to reach out and touch them! So pretty, Louise. Really lovely! What style ! Unbelievable !